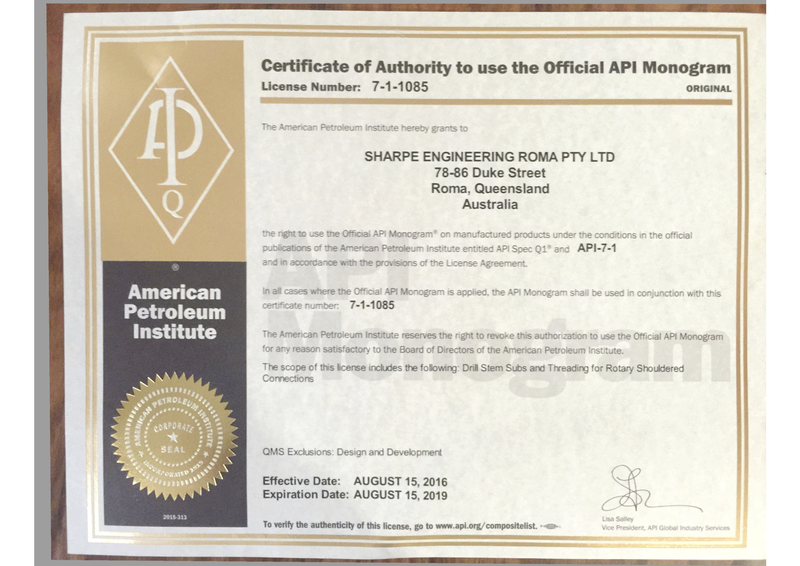 Sharpe Engineering currently hold three API (American Petroleum Institute) quality certifications. 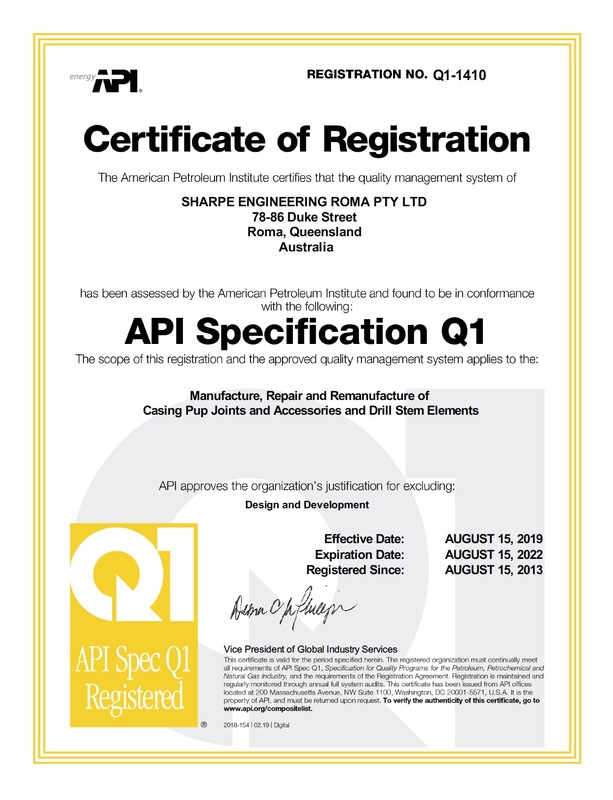 API Spec Q1 certification is regarded as the highest level of quality management system (QMS) accreditation in the Oil & Gas industry. 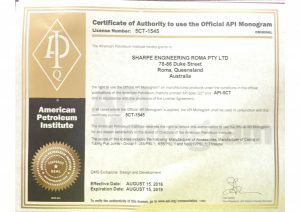 API Q1 (Cert No. 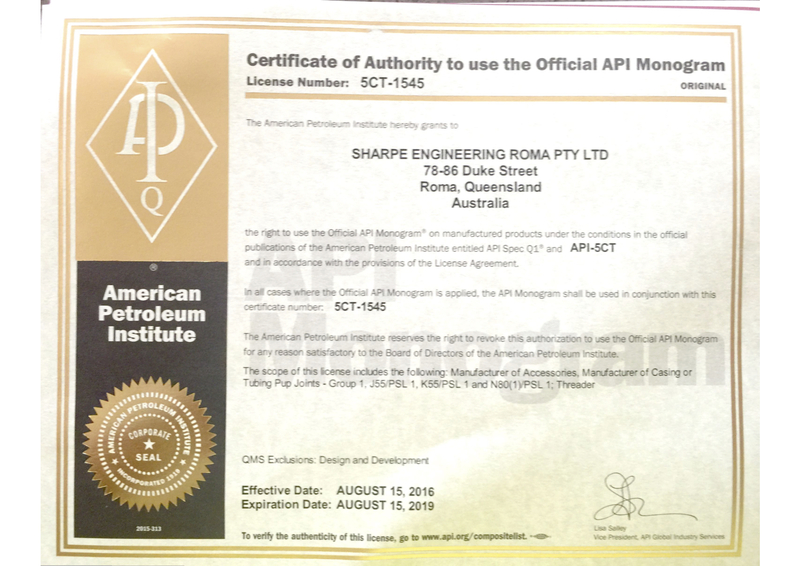 Q1-1410) which scope of certification licences Sharpe to undertake the manufacture, repair and remanufacture of casing pup joints, accessories and drill stem elements. Threading on rotary shoulder connections. 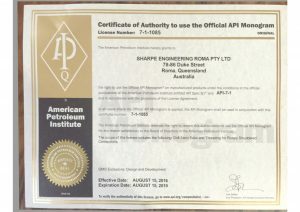 Note: Sharpe Engineering is currently exempt from clause 5.4 Design and Development as our scope of activity relates to API Specification 7-1 and API Specification 5-CT.
Should our client’s have projects that demand additional API licences – Sharpe Engineering would be happy to investigate any opportunity to support.